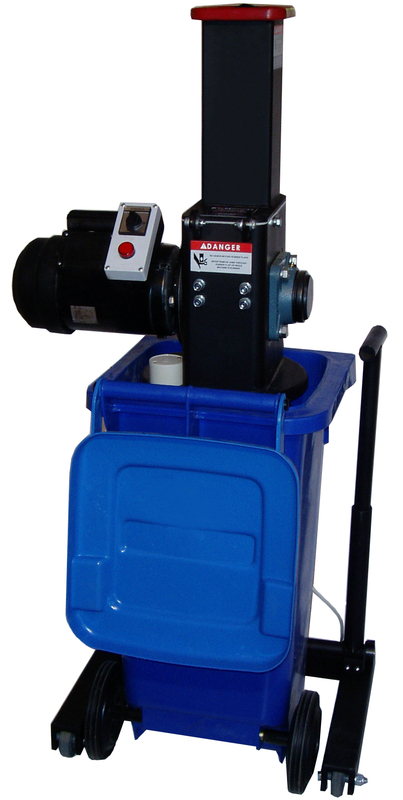 This Glass to Cullet Crusher is ideal for turning glass bottles into glass cullet. Quickly crushes glass into tiny pieces in a consistent manner. The crushed cullet can easily discharge into containers for easy transport. Very user friendly design. Note: The minimum personal protective equipment required by operators using this machine are Safety Glasses, Ear Protection, Safety Shoes, and Protective Gloves (Kevlar gloves are recommended for glass handling). Feed Chute Loading Height 57"